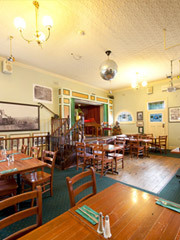 The Gallery Dining Room with its display of local and Kelly memorabilia, Dance floor, large screen, stage and open fires in winter is ideal for a family meal or large function. 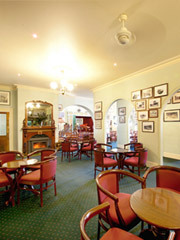 The menu is 'pub style' incorporating Vegetarian and Gluten and Dairy free meals. 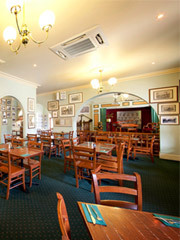 There is a 'specials' board which features our Chef’s innovative additions to the regular menu. 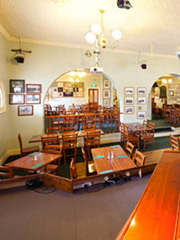 Many forms of entertainment are held in the Gallery Dining Room. The stage also opens onto the adjoining Courtyard.